Because palm trees are not indigenous to Sweden, feathered twigs were used historically (think 1600s-1700s) to symbolize the palm fronds that were placed on the ground for Jesus during his return to Jerusalem, commemorated every Palm Sunday one week before Easter. It wasn’t until the 1900s that these feathers became more decorative, losing their original significance. 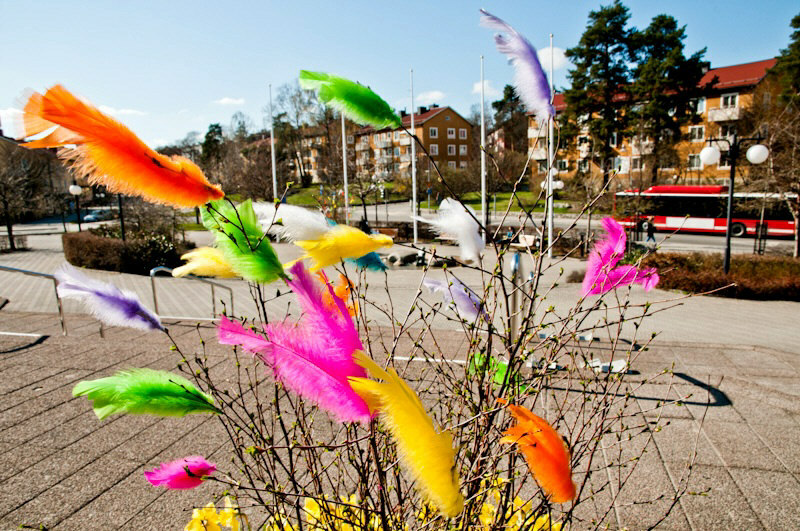 Today, brightly-colored feathers are used to boost spirits as Swedes emerge from long dark winters looking forward to a vibrant spring.